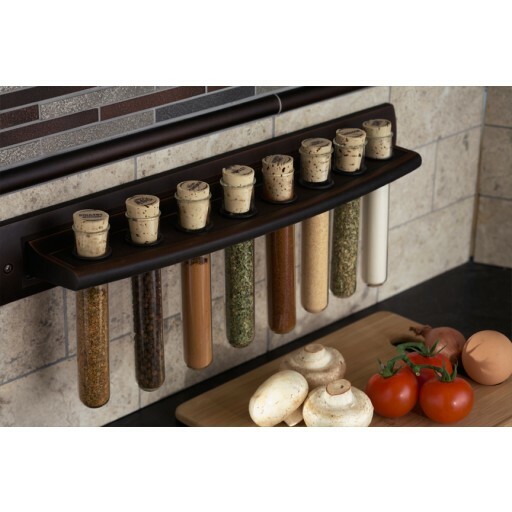 This oil rubbed bronze spice rack provides an elegant, dark display that serves as a striking backdrop for your favorite brightly hued seasonings. 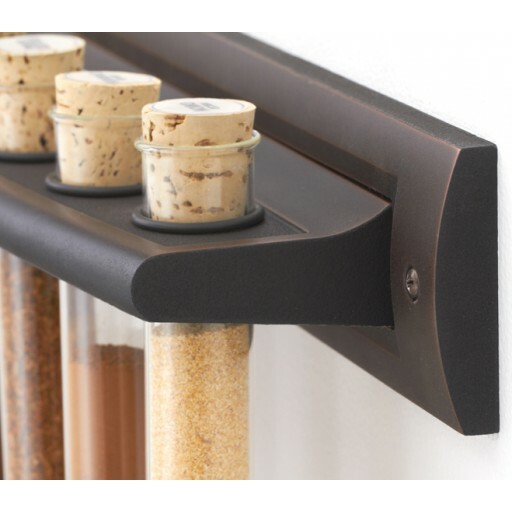 Along with the oil rubbed bronze spice rack, you also receive eight slender, corked glass cylinders with O-rings to hold them securely in place and 72 common spice labels. 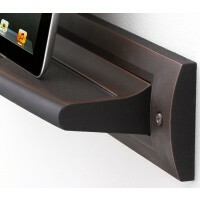 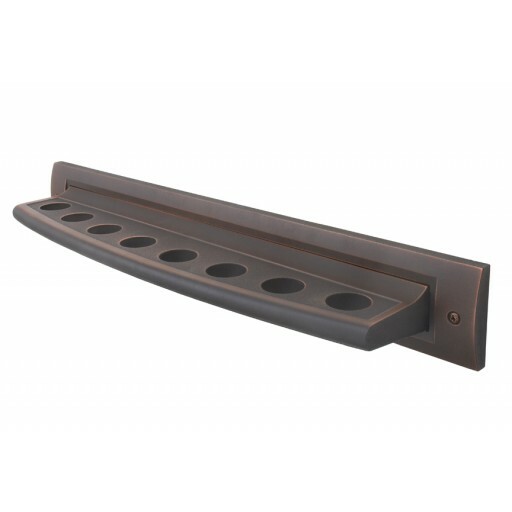 This oil rubbed bronze spice rack mounts easily to any wall surface using only two screws. 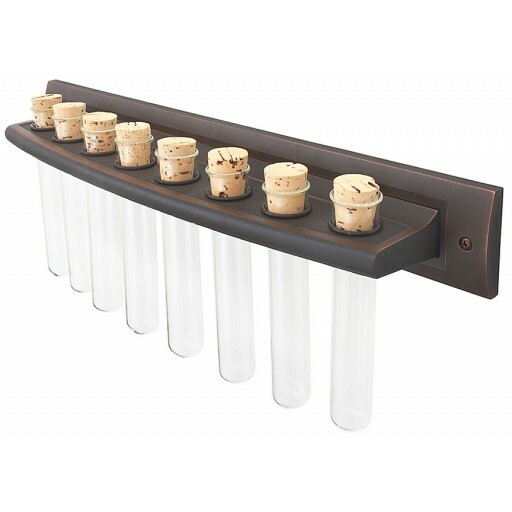 1 spice rack, 8 glass cylinders, 8 corks, 8 black o-rings, 1 spice label sheet, 2 screws and 2 mounting anchors.